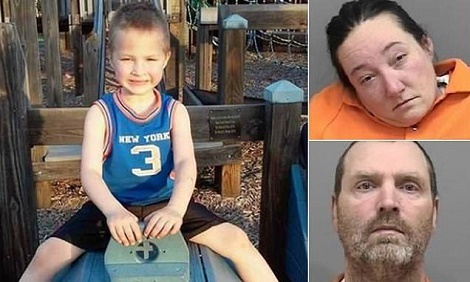 A Wisconsin couple and their son have been arrested in connection with the death of a seven-year-old boy that they were supposed to be looking after. Timothy and Tina Hauschultz and their 15-year-old son allegedly punished the little boy for not memorizing Bible verses. They made the seven-year-old, whose name was Ethan, hold a 44-pound log for two hours every day for a week, according to Newsweek. 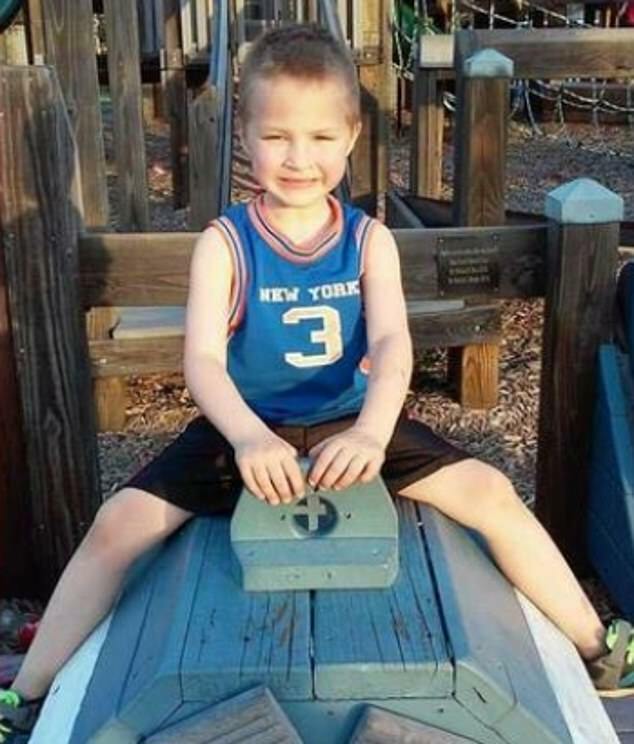 The boy was monitored during his punishment and it's believed the teenager ended up kicking and punching the youngster at least 100 times, rolled the heavy log over his chest and stood on his head and body while Ethan was face-down in a puddle. The boy was allegedly buried in 'his own little coffin of snow' reports Fox. Ethan died in April 2018 and a medical examiner's report showed he was found to have died from hypothermia and blunt force trauma to the head, abdomen and chest, and a fractured rib. It's not known how the Hauschultz's are related to Ethan, but Timothy and Tina are listed as his court-appointed guardians, along with two of his siblings, including his twin. 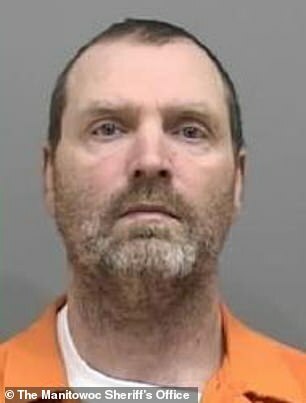 The Hauschultz's teenage son has been charged with first-degree reckless homicide, while his father Timothy, 48, is charged with felony murder and felony contributing to the delinquency of a child. 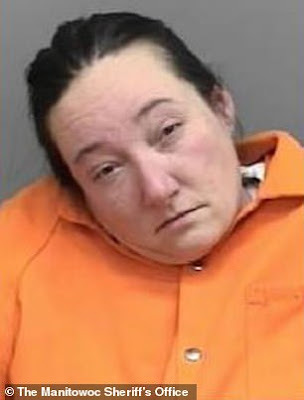 The mother, Tina, 35, is charged with failing to prevent bodily harm and intentionally contributing to the delinquency of a child. The teenager told police that he was in charge of supervising Ethan and his twin, who were both being punished by carrying logs after failing to recite 13 Bible verses of Timothy's choosing. Ethan's birth mother, Andrea Everett, spoke out after the boy's death in April. 'I want justice for my son, and the person responsible should go to jail for a very long time,' she said. Timothy and Tina Hauschultz and their son are all expected to make their first court appearances on Monday.